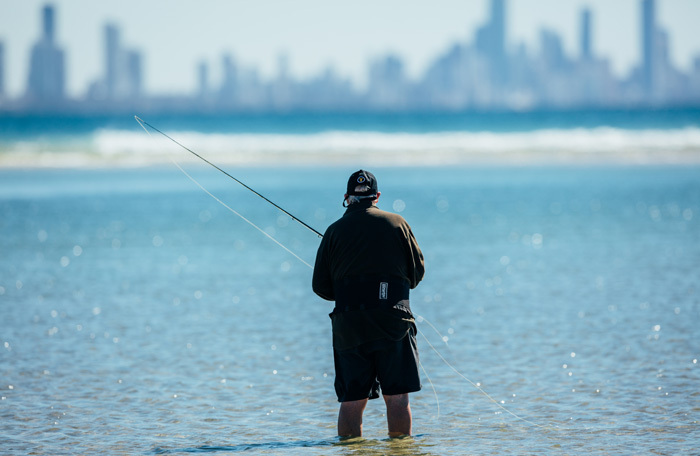 Undoubtedly the best way to catch fish on the Gold Coast is from a boat but there is something to say for the romance of throwing in a line off a jetty or from the beach. While there are plenty of fish which hang around the shoreline, unless you are prepared to do some serious secret spot hunting you're only going to end up with smallish bream, whiting and flathead - see our guide on where to fish. 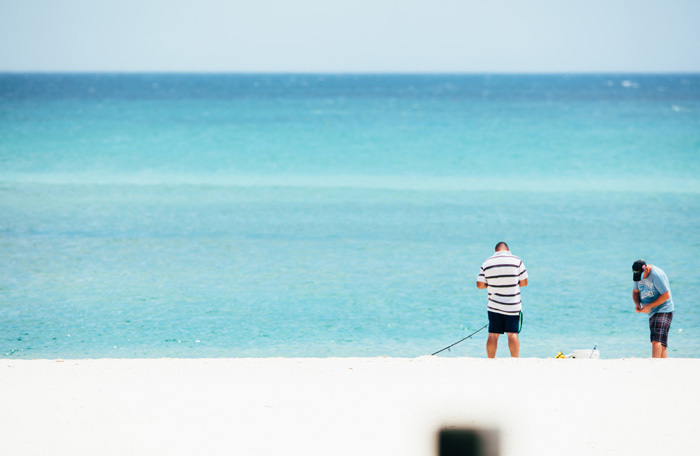 The competition is fierce among anglers and if you head down to a popular spot (such as the Spit) on a sunny Sunday afternoon during school holidays you'll need to take a ticket if you want to throw your line. Fish The Deep Charters offer either a half day or full day deep sea reef and game fishing charters. Morning and afternoon sessions are available and both include light refreshments. You can keep your catch and have it cleaned, gutted & bagged before you go home. All tackle and equipment are supplied! High-tech fish finding equipment is used, taking you to where you are most likely to catch a fish! Go fishing with the experts on this 5 hour charter trip available either in the morning or afternoon. This excellent half day deep sea fishing charter targets a wide variety of pelagic and bottom dwelling species and you're sure to enjoy your trip aboard the comfortable, fully equipped and purpose built charter vessels. All fishing equipment and tackle is included. Departing from Main Beach, get that trophy fish you've been waiting for! 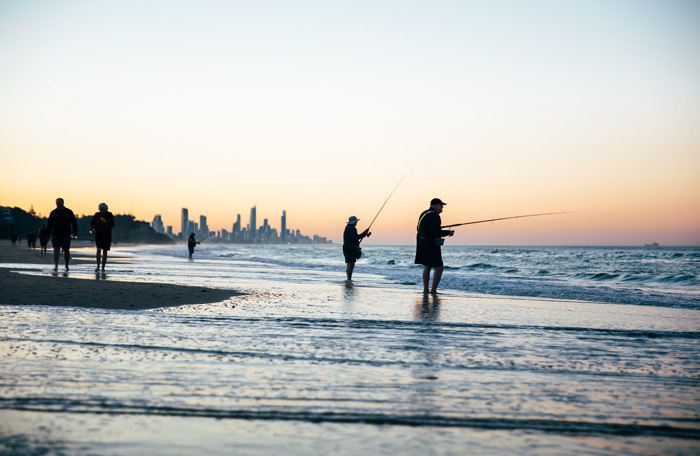 The Gold Coast has a temperate climate and it's located pretty much in the middle of the Australian coastline so it has a complete range of fishing environments — from the continental shelf to large Freshwater dams, so finding a spot to drop a line and catch something tasty isn't too hard. If you have a boat the options are limitless, just cast out into the Broadwater, a river, creek or ocean and go where your electronic fish finder tells you. If you are on land there are still plenty of options. For whiting, bream and flathead, a good tactic is to go fishing at dawn or dusk on a change of tide just inside the mouth of a salt water creek. There are hundreds of spots like this all along the coast and if you time it right you'll come away with a haul. During winter you might want to try fishing for tailor off the rocks or a long jetty using pilchards or a good lure. Most importantly, don't just go where the crowds are — especially in the school holiday season — just because there are 100 people fishing in a particular spot doesn't mean there are any fish there. If you look around for something different you'll be pleasantly surprised — it's common to find sharks and sea turtles in 'estuaries' most people would write off as dirty storm water drains. If you've got the time, a deep sea fishing charter is well worth a go. Out on the open ocean you'll find huge marlin, tuna, snapper, mackeral and sharks (to name a few), and there are plenty of great guides and boats around to help you make the most out of your time on the water. Bream, whiting and flathead, of considerable size, can be caught from the beach or in the many estuaries that dominate the Gold Coast shoreline. Snapper and tailor hang around the rocks in winter. Most local fish seem to love blood worms, which you can buy for about $3.00 from any bait shop or convenience store. Fresh bait is even better, and yabbies, worms and prawns seem to get the thumbs up from most species. Lures do the trick if you're prepared to experiment with different sizes, colours and textures, but fresh local bait is hard to beat.